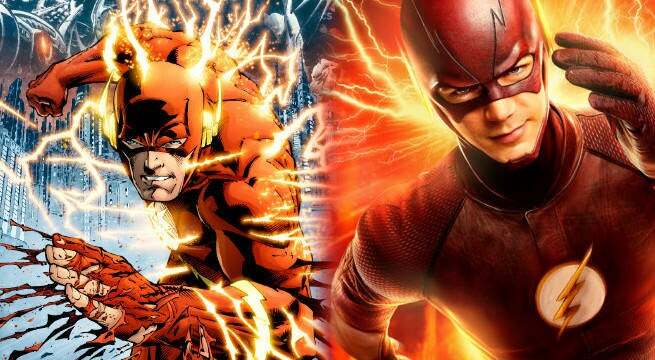 The third season premiere of The Flash will be titled “Flashpoint,” according to series star Grant Gustin. Gustin revealed the title today via Twitter. Gustin first revealed that he had read the episode’s script but was coy about the title, only revealing it after receiving permission from producer Greg Berlanti. “Flashpoint” is a reference the major DC Comics event series of the same name. Flashpoint, written by now DC Entertainment Chief Creative Officer Geoff John and drawn by Andy Kubert, takes place in an alternate DC Universe timeline where Bruce Wayne is dead, Thomas Wayne is Batman, there is no known Superman, and New Themyscira and Atlantis are on the brink of war. The only one who remembers the true DC Universe timeline is Barry Allen, who is shocked to discover that his previously deceased mother, Nora Allen, is alive in the new timeline. The big twist comes when it is revealed that Barry created the Flashpoint universe by travelling back in time to prevent the Reverse-Flash from killing Nora. Barry’s attempt to undo his previous action and restore the original timeline ends up being a catalyst for the creation of the New 52 DC Universe. Fans have suspected that Flashpoint may inspire the third season of The Flash since the second season finale, “The Race of His Life,” ended with Barry travelling back in time to prevent his mother’s death at the hands of Eobard Thawne, the Reverse-Flash. Season 3 will presumably deal with the consequences of Barry’s action, with many fans theorizing that the third season will open in an alternate universe. This could also relate to Supergirl’s move from CBS to The CW and the upcoming four-way crossover between Supergirl, The Flash, Arrow, and DC’s Legends of Tomorrow. Some have theorized that Barry’s action may recreate the CW’s DC TV Universe, moving Supergirl to Earth-1 with the other shows, similar to how Flashpoint merged the DC Comics, Wildstorm, and Vertigo universes to create the New 52. “Flashpoint” will kick off the third season of The Flash on Tuesday, Oct. 4.